The university offers undergraduate, postgraduate and continuing education programs in different fields: administration, engineering, humanities and social sciences in face-to-face mode. However, some programs can already be accessed in virtual mode, which puts the university at the forefront of world education. In addition to the quality of teachers who have all the programs and learning methodologies they teach, the university offers alternative courses that lead students to explore different areas of their knowledge, such as arts, humanities, politics and culture. There are also language courses such as English, French, Portuguese and Italian available to anyone. In addition, there is an offer of sports and cultural groups to which you can link during your university life, such as: football, basketball, volleyball, tennis, swimming, rugby, dances, theater, choral music, band, string group, and many more activities. The university is interested in an integral formation as a professional and as a person, and therefore is concerned with promoting values. The campus is really beautiful, spacious and surrounded by nature. He is not a professor only, but he helps his students be the best at what they do, the library is one of the best, and being in college is very nice, campus spaces are great and education Nor is it said, it also specializes in many fields. The Universidad Pontificia Bolivariana, is one of the best nationwide in Colombia. From this University come many of the best professionals that the country has, their faculties are very good and always teach their students the best. At the UPB many exchange students come to see this as a very good place to learn and to know another culture. The Universidad Pontificia Bolivariana has several research groups recognized at national level; And its engineering faculty is one of the best in the country. Being a one Pontifical University, the humanistic formation is very important so that it leaves professionals with very good values. The university has a great campus and career offers, you’d like the student environment. Classes could be a little bit more intensive and not all teachers are completely formed to be. In general good experience. Quality of infrastructure, extensive facilities, opportunities for interaction with research seedlings, good sources of information (library), excellent teachers' union, variety of academic programs, exchange opportunities and great human sense. An excellent university, stands out the great human sense of all its staff, who are in charge of transmitting these values ​​to its students, creating besides excellent professionals excellent people, integras. Industrial engineering is focused on the administration and optimization of processes, it is a very well oriented career that opens its students a great field of action in the labor market. I am definitely very happy to have chosen the Pontifical Bolivarian University and the industrial engineering career. I absolutely recommend them. 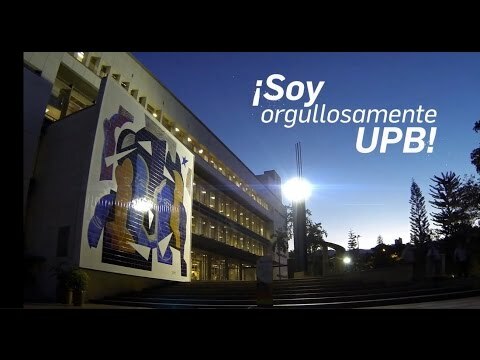 The UPB Seccion Bucaramanga, has an ideal campus for students, as it is large and with good facilities, and the academic level of the institution is good in the areas that it specializes, in addition it counts on 4 venues more in all the country . In my opinion is a very good university, graduates have very good bases to start their working life. The Universidad Pontificia Bolivariana is located in the metropolitan area of ​​Bucaramanga Colombia, is a country university and has one of the best infrastructures in the city. In this University I studied industrial engineering, an ideal career for people who want to create their own company, manage one, optimize the productive chain from any area of ​​the company or as in my case for people who when deciding for a career do not feel A specific vocation and this I say because engineering and industrial has a very broad field of action, gives the student a holistic view of business and business and once the person defines what area he wants to play, he will already have a Preparation and mental structure that will allow him to learn and to join any company regardless of the sector to which it belongs. In the UPB the approach is more administrative than technical, however, a good route is done in areas such as production, logistics, costs, marketing, accounting, among many others. I recommend 100% UPB and specifically industrial engineering. If you're the owner or representative of Universidad Pontificia Bolivariana - UPB, you can claim this University and build a better profile. Interested in studying at Universidad Pontificia Bolivariana - UPB?